The Renaissance Las Vegas hotel offers a unique Vegas experience in the center of the action. 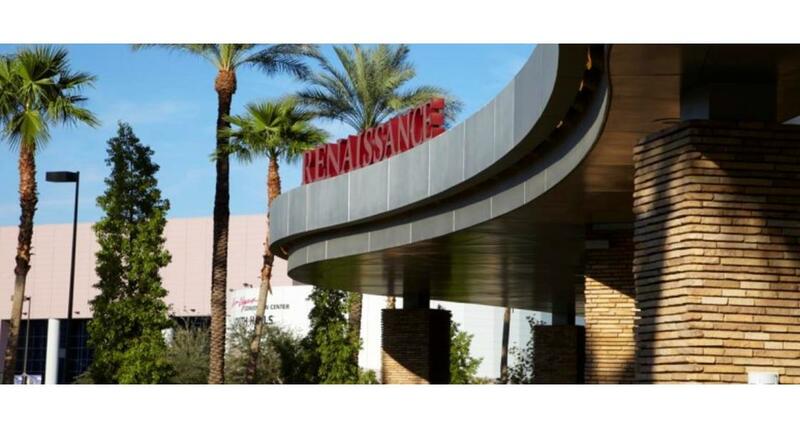 The first clue is its location: just south of the Las Vegas Convention Center, from which the 14-story, more than 500 room resort draws most of its crowd. To accommodate conventioneers, the hotel offers all of the state-of-the-art amenities a 21st-century CEO would want his company's reps to have: WiFi Internet access, 20,000 square feet of "function space," specially designed "Exhibitor Suites," top-of-the-line audiovisual capabilities, ergonomic chairs and onsite catering. Notice there's no mention of a casino - the Renaissance is the city's largest non-gaming hotel. The resort, starting with the swank, sophisticated lobby, has a club-like atmosphere with a slight Rat Pack vibe. There's a hip executive level with a lounge, a pool area, spa services that include in-room massages, comfy beds with quality linens and plenty of pillows, and flat-screen televisions in every room. There is one particular sin on premises - Envy - and it could easily bring a day's work to a halt. Envy Steakhouse features a cozy little lounge and a handsome modern dining room with a wine wall and walk-in cellar. The menu spotlights steaks, a variety of comfort foods, from a kobe filet to seared diver scallops with wild mushroom mac and cheese. If all of this whets one's appetite to explore more of Las Vegas, there is a monorail station nearby. The Renaissance Hotel is non-smoking.